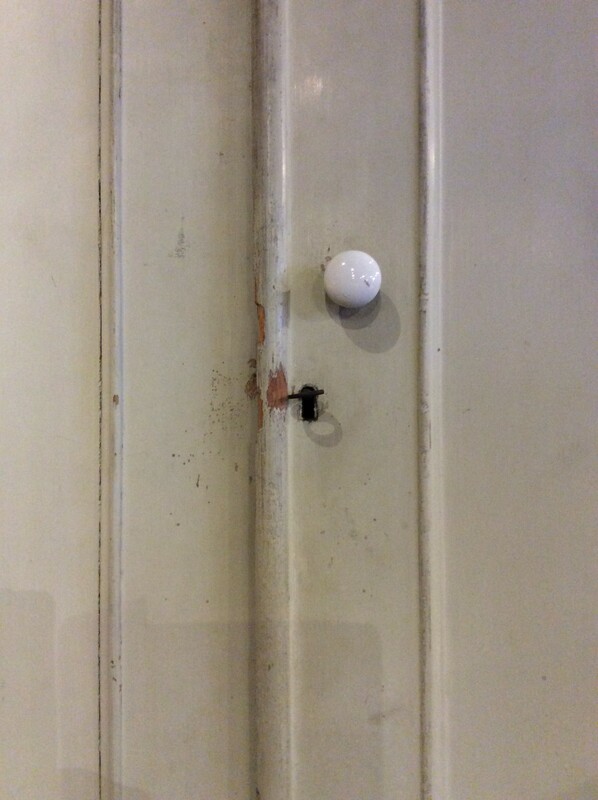 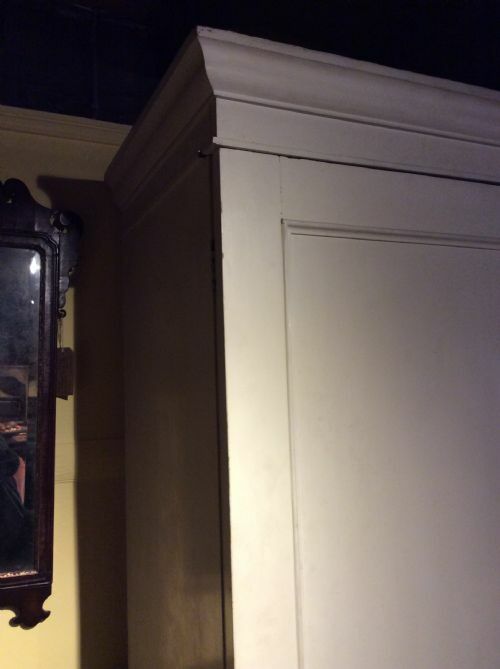 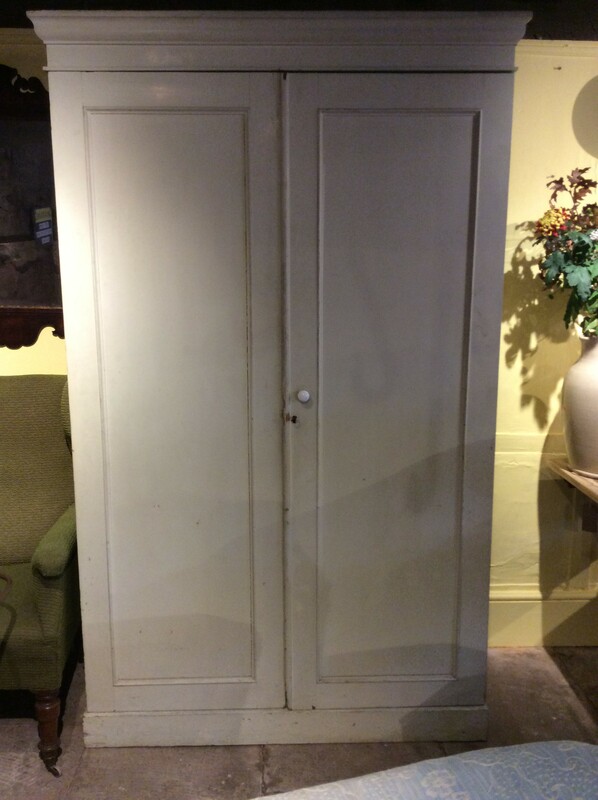 19thC Country estate painted pine 2 door wardrobe/ cupboard , removed from Alnwick castle, seat of Duke of Northumberland. 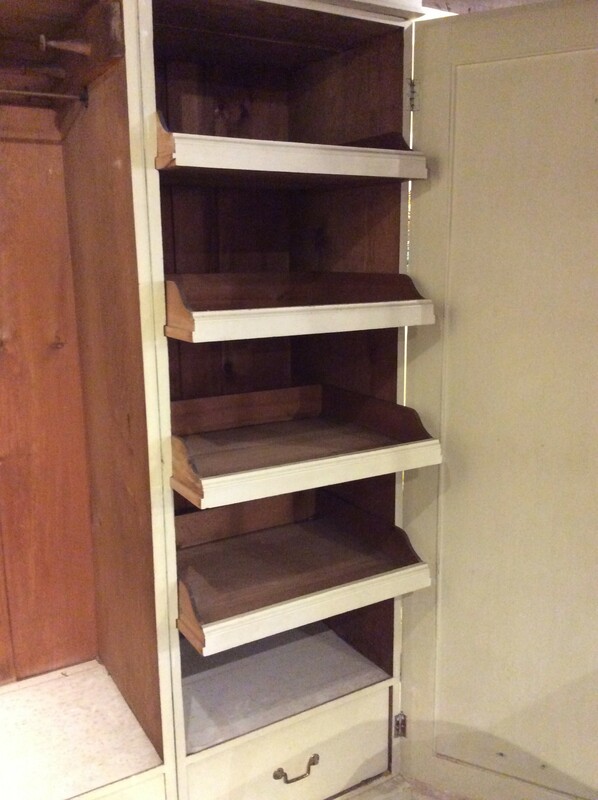 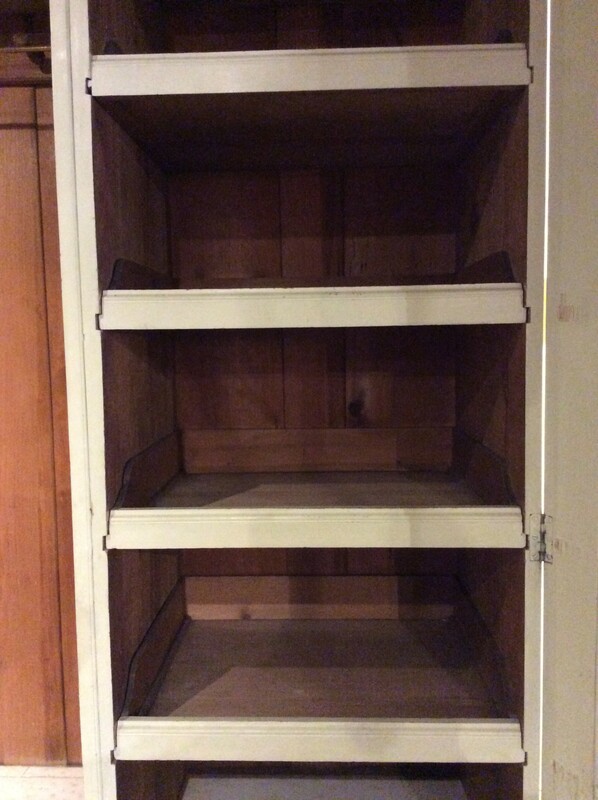 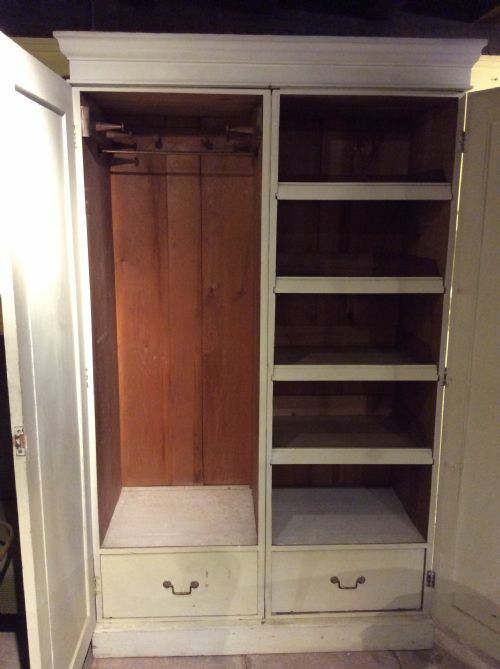 This unit would equally be suitable for hall or kitchen having 2 bottom drawers, coat hook & rail hanger space on one side and 4 pull out trays on the other. 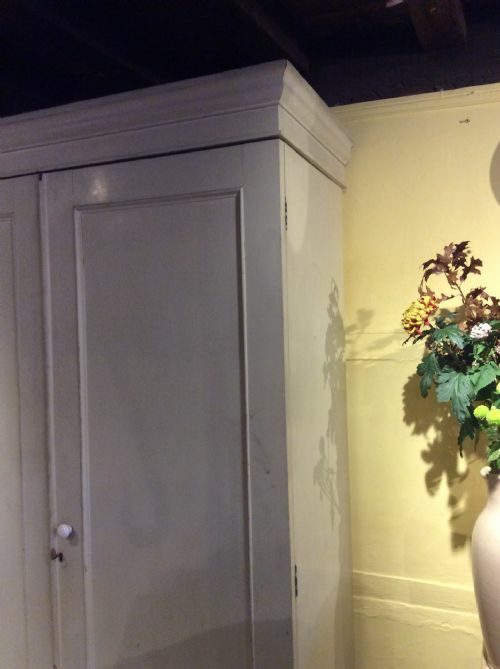 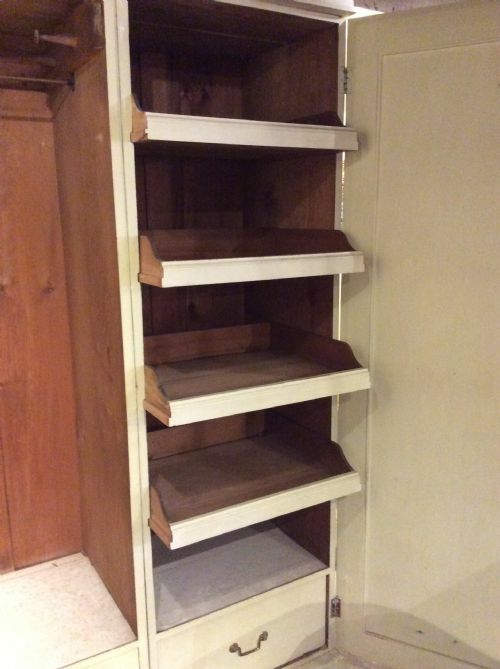 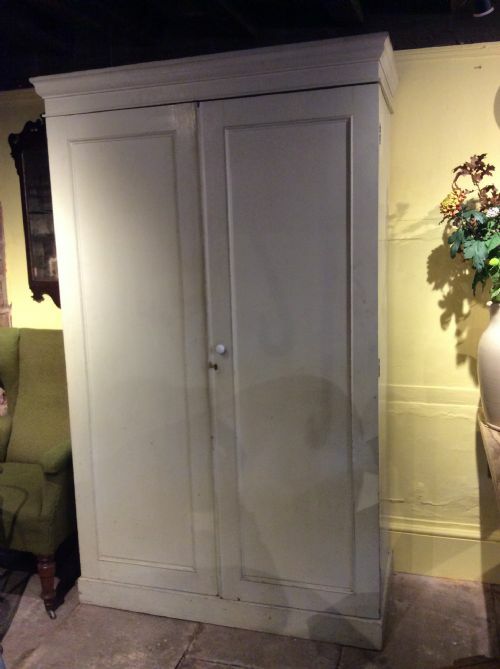 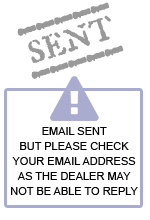 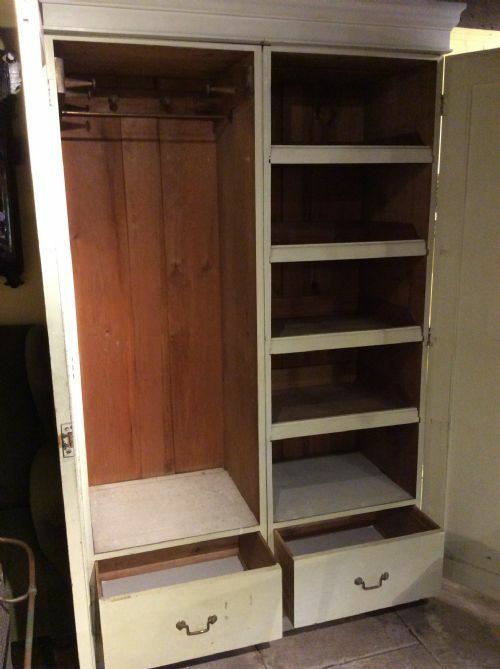 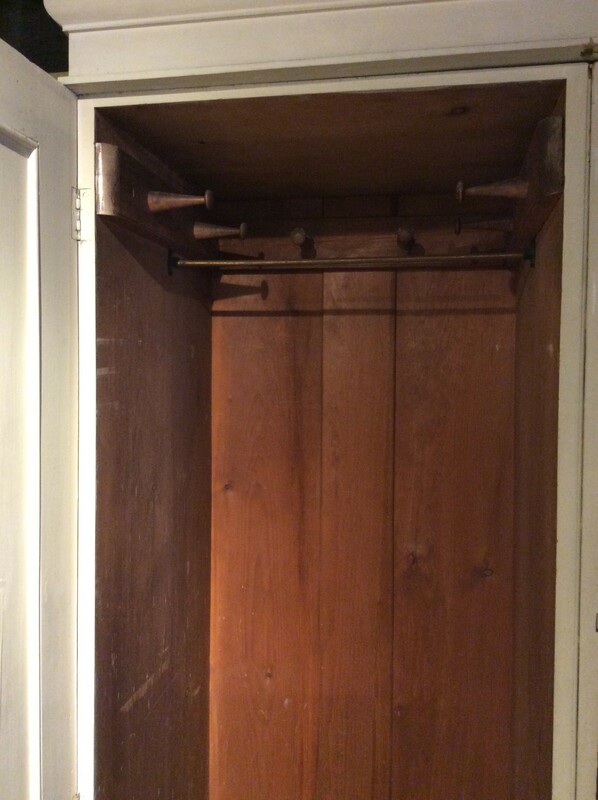 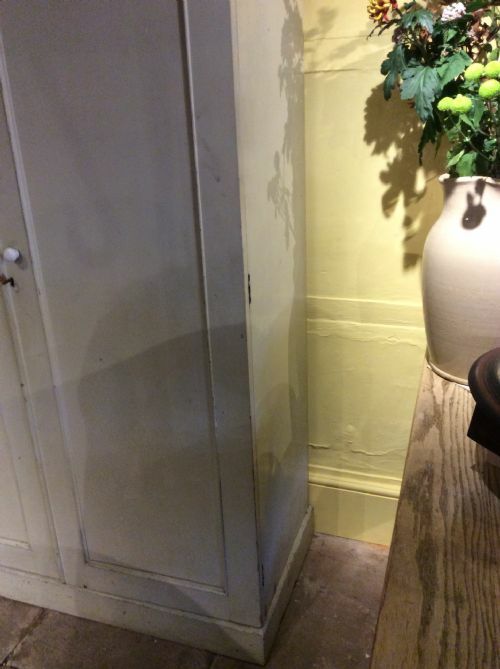 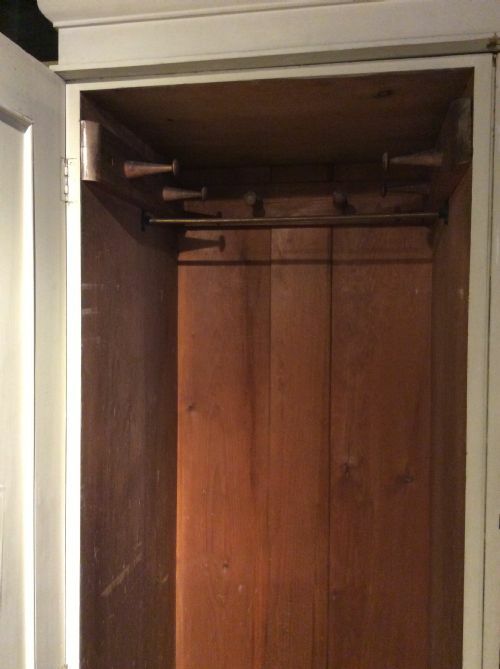 The 19thC Country estate painted pine 2 door wardrobe has been added to your saved items.